LeBron James does it again. 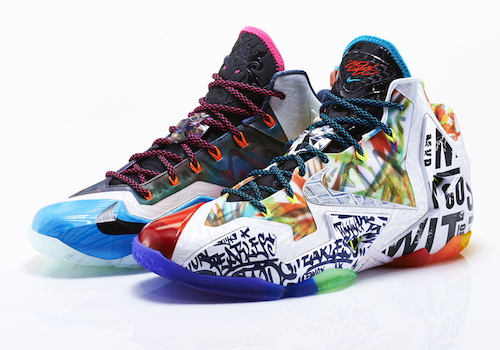 These Nike Lebron “What The LeBron Xi” sneakers are made up of past Lebron shoe models that have been released through the year. The set release date for the new sneakers is May 31st, 2014. Are you feeling these? ← Lil’ Boosie: More Partying To Come?